The Charles E. Truesdell home at 13 Grant Street built in 1887 is one of Redlands oldest homes. It was built on lot 8 of the Ladds Second Addition subdivision. This two story dwelling has a cross gable composition roof. Rectangular attic vents are located at the top of the gables that have scalloped-shingle siding. Shed dormers were added to the second story on the north and south sides in the 1930’s. A porch extends along three façades of the building. Twelve square pillars support the shed roof of the porch with a railing of flat board balusters. Vertical wood siding sheaths the foundation. Windows are double hung with single panes surrounded by flat wood trim. The siding on the home is clapboard design. Charles Truesdell came to Redlands in January of 1882 after attending law school and serving an as employee at the National Weather Bureau in Norfolk, Virginia from 1877 to 1882. Mr. Truesdell became engaged in citrus, real estate and his law practice. He helped organize the Redlands Water Company in 1884 and guided the new company past several legal hurdles. It was he who turned one of the first shovels of dirt for the construction of the Bear Valley dam. He is credited with placing the City of Redlands on firm legal ground concerning its water rights. 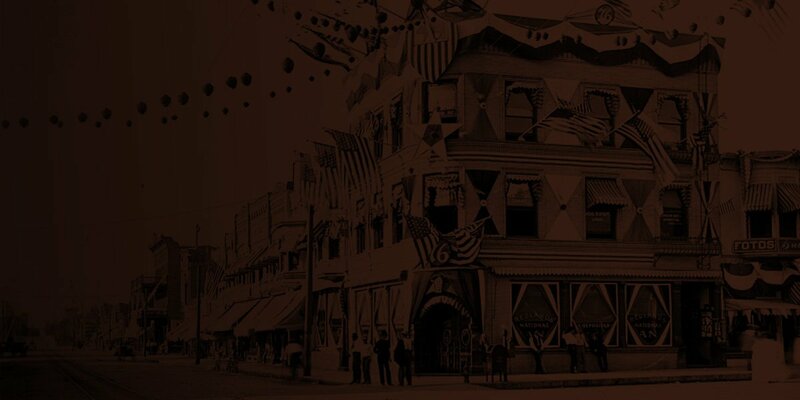 Mr. Truesdell married Rebecca Cox on July 8, 1885 which was the first marriage in Redlands where both husband and wife were at the time residents of the city. Mrs. Truesdell was a native of Harleston, England, coming to Redlands with friends about the same time as her husband. Together they built this home in 1887. Mr. Truesdell’s law partner, Mr. E. C. Warren helped finance the home business office for $275. Mr. Truesdell died in 1924. Mrs. Truesdell was still living in the home in 1927 when the Redlands Daily Facts ran a series of articles based on the 1897 Illustrated Redlands publication. Mrs. Truesdell lived in home with her daughter, Mrs. Alice M. Garland, the widow of Sanford S. Garland. Her three grand-daughters, Alice Louis, Frances and Margaret also lived in the home. Eugene R. and Sarah Worley purchased the home in 1942. The Worleys had owned and operated a large ranch in the Imperial Valley from 1907 to 1928 when they came to Redlands. They owned a grove on 5th Avenue until 1942 when they moved to 13 Grant Street. Mrs. Worley continued living there until her death in 1961 at the age of 85. The home was inherited by her daughters, Doris Hill of San Diego and Dorothy Kendall of San Gabriel. They held the property until 1976 when it was sold to Frederick Scott Adelman. The home subsequently was transferred to Mr. Adelman’s mother Gloria D. White in 1996, and then to his sister, Deborah Jean Finfrock as trustee of her mother’s trust. In 2001 the home was purchased by Toni Sutton purchased the home who presently lives there. The home was featured on the Redlands Heritage Home and Quilt Show tour in 2004. The Redlands Area Historical Society commends the Toni Sutton and her partner Tonyu Pantelle for their stewardship in maintaining this remarkable home. – Researched and written by Ron Running.